With the big show approaching, organizers are putting the final touches on the 54th annual Fort Lauderdale International Boat Show, making sure everything is perfect. Management is anticipating it to be yet another fantastic turnout, possibly the best in years. The show will run from October 31 through Nov 4, 2013, at various Fort Lauderdale sites. If you’re a lover of all things boats, like we are at The THERAPY-IV, you should consider planning a day at the show. The show has undergone a re-vamp, as organizers say they've welcomed visitors aboard with new and unique exhibits, bigger exhibit layouts, and more food and beverage options. Not to mention the countless nautical crafts expected to grace our presence. Organizers say a certain head-turner this year will be SeaFair, a 228-foot, $40 million luxury "exhibition yacht" that will be docked at the Bahia Mar Yachting Center. 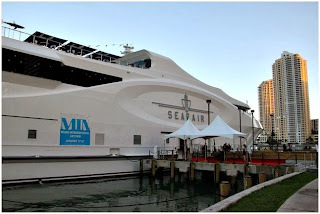 SeaFair, which visits cities in Florida and elsewhere along the East Coast, will feature fine art and jewelry displays, and designs for yachts and homes in a club-like atmosphere. It will also offer a 120-seat restaurant and several cocktail lounges. The five-story yacht will host the show's kick-off parties, daily receptions and other events for special guests and VIPs. Many people turn to The THERAPY-IV, South Florida’s premiere fishing charter, for the best Miami Beach Deep Sea Fishing experience! Our crew, 47 years’ experience, and unrivaled understanding of Miami’s waters is what has earned us the TripAdvisor’s Traveler’s Choice award for 2013 and TripAdvisor’s Certificate of Excellence for the past three years. 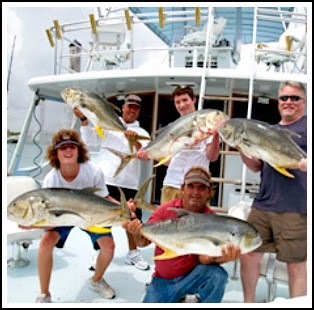 Additionally, our fishing charter has received the highest rating by 339 travelers. Our fleet consists of two magnificent, huge yachts fully-equipped to catch a variety of fish, such as Marlin, Sailfish, Sharks, Dolphin (Mahi-Mahi or Dorado), Tuna, Wahoo, Barracuda, Snappers, and many more. These features include a large tuna tower for spotting big game, giant live bait tanks, giant outriggers for spacing the baits apart and a giant flying bridge with a captain’s chair and two fighting chairs. The cockpit fishing area is equipped with a giant transom door for boating the monsters safely. Deluxe amenities, such as air conditioning, TV, XM satellite radio, bar counter, shower, and more, can be enjoyed on our boats. October is an exciting month in Miami, packed with fantastic events for all to enjoy amidst cooling weather and, of course, for the Halloween holiday. Listed below are some great options for ultimate Halloween fun! 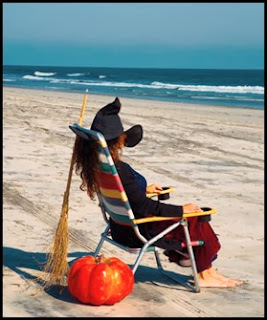 • Miami Beach Halloween Happenings- On Thursday, Oct 31st, the Scott Rakow Youth Center will host this event at 6 pm. Children are encouraged to come in costume and enjoy a night of spooky fun. Features new Treats for Tots area and ice skating. Tickets for carnival rides and concessions available on site. • Ghosts of Miami City Cemetery Walking Tour- Get a taste of Miami history on Friday, October 25th at 8 pm at Miami City Cemetary for a spooky tour. Join historian Paul George to visit final resting places of Miami’s notables, famous and infamous. Bring a flashlight. Halloween costume optional. • “Candyland” – Halloween at FIFTY Ultra Lounge- “Don’t miss the sweetest party in Miami this Halloween. Party-goers will be in for a treat at FIFTY Ultra Lounge’s alluring Candyland. Enjoy an impressive DJ lineup from all over the world in a surreal fantasyland complete with picturesque views of Miami.” Join the party on Thursday, October 31st, at 10 pm. When you’re done enjoying these fantastic local events, make your way to Haulover Marina and take a trip with The THERAPY-IV crew for a Miami Beach Deep Sea Fishing experience like no other! We set sail 7 days a week, twice daily between 8 am and 5 pm. Contact me, Captain Stan, for further information by calling 305-945-1578. The THERAPY-IV is based in Halouver Marina, just 2 minutes from the Atlantic Ocean and 6 minutes from the Gulf Stream. Our home gives us a prime spot for Miami Deep Sea Fishing, inshore and offshore, and is located just south of Sunny Isles and north of Bal Harbour on Collins Avenue. The THEAPY-IV has operated in the area for decades, and has frequently been involved with or promoted several local events over the years, particularly those that occur in its headquarters near Big Bill Marina, located in Haulover Park. Our reputable deep sea fishing charter has been ranked as the #1 activity in Miami Beach by TripAdvisor, a travel website, and is well-regarded by its clients, based on testimonials. 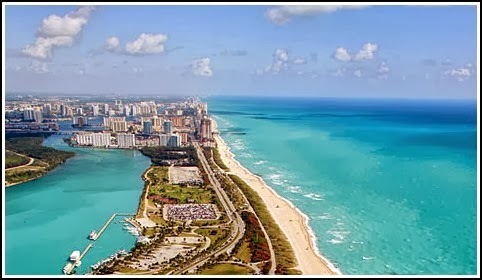 Halouver Park is a 99-acre urban park in Miami, located on a shoal between the Atlantic Ocean and Biscayne Bay. It features a marina, six tennis courts, a nine-hole 27-par golf course, and several picnic recreation areas on the southern end. Its central location has much to offer in the way of events and activities, natural beauty, and close proximity to some of Miami’s most popular attractions. Locals make their way to Haulover to enjoy it’s world-famous, pristine white-sand shores, open ocean surf, various shaded picnic facilities, beautifully landscaped sand dunes, and concession stands. The beach is also ideal for surfing as well as swimming. It’s convenient location is only 20 minutes from Downtown Miami and 20 minutes from Fort Lauderdale. We at The THERAPY-IV boast over 40 years of experience fishing the South Florida waters. We set sail 7 days a week, twice daily between 8 am and 5 pm. All-day charters are also available for private, corporate, or group fishing. Contact me, Captain Stan, to book your Miami Deep Sea Fishing adventure by calling 305-945-1578. For the best Miami Deep Sea Fishing experience, turn to South Florida’s premiere fishing charter, The THERAPY-IV! Our experience, crew, and unrivaled understanding of Miami’s waters is what has earned us the TripAdvisor’s Traveler’s Choice award for 2013 and TripAdvisor’s Certificate of Excellence for the past three years. Additionally, our fishing charter has received the highest rating by 339 travelers. Our fishing experience is perfect for anyone, beginners and seasoned alike. Book a trip with us and see why, to seasoned anglers, there is nothing more thrilling than the tell-tale tug of a “monster” on the fishing line. Monsters, as they are affectionately nick-named, refer to big game fish. Deep Sea Fishing is an adventure available to anyone through The THERAPY-IV fleet- our boats are even outfitted for wheelchair accessible fishing. Our fleet consists of two magnificent, huge yachts fully-equipped to catch a variety of fish, such as Marlin, Sailfish, Sharks, Dolphin (Mahi-Mahi or Dorado), Tuna, Wahoo, Barracuda, Snappers, and many more. These features include a large tuna tower for spotting big game, giant live bait tanks, giant outriggers for spacing the baits apart and a giant flying bridge with a captain’s chair and two fighting chairs. The cockpit fishing area is equipped with a giant transom door for boating the monsters safely. Deluxe amenities, such as air conditioning, TV, XM satellite radio, bar counter, shower, and more, can be enjoyed on our boats. Located in Halouver Marina, The THERAPY-IV fleet is just 6 minutes from the gulf stream, a prime spot for catching many types of fish as they migrate. I, Captain Stan Saffan of THERAPY-IV fleet, as well as my crew, have over 40 years experience fishing Miami’s coastline, which makes us experts on the art of baiting and catching monsters. Booking a fishing trip with The THERAPY-IV is easy-reservations can be placed online or over the phone at 305-945-1578. The THERAPY-IV is based in Halouver Marina, just 2 minutes from the Atlantic Ocean and 6 minutes from the Gulf Stream. Our home gives us a prime spot for Miami Deep Sea Fishing, inshore and offshore, and is located just south of Sunny Isles and north of Bal Harbour on Collins Avenue. The THERAPY-IV has operated in the area for decades, and has frequently been involved with or promoted several local events over the years, particularly those that occur in its headquarters near Big Bill Marina, located in Haulover Park. This month, one of our favorite events is coming to Haulover Marina on Sunday, October 20th, to color the skies: the 20th annual Kite Day! Miami Beach will become even more beautiful as a spectacle of shapes and hues soar over the skyline, displaying a wide array of hundreds of kites. 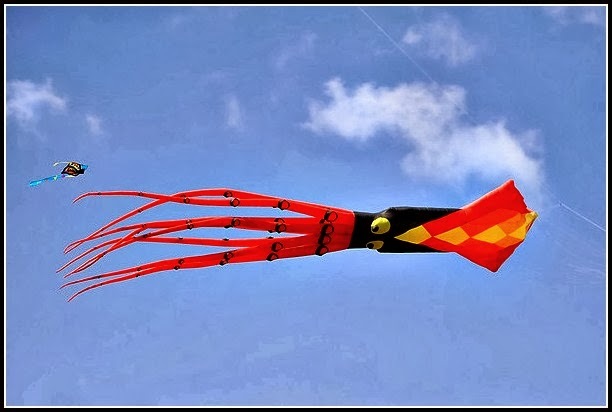 There will be magnificent kites such as the 100-foot flying squid, the 30-foot flying scuba man, 300 square-foot parafoils, a 30-foot flying Nemo fish, and the 150-foot flying rainbow, among many more. Hosted by Miami-Dade Parks and Skyward Kites, a premiere kite shop situated in Haulover, this event is free to the public and even features paper kite building classes and demonstrations and kite-flying competitions for children and adults alike. What better way to enjoy the fantastic weather we’ve been having than with a picnic at this waterfront park for some great kite-watching? We at The THERAPY-IV boast over 40 years of experience Miami Beach Deep Sea Fishing. We set sail 7 days a week, twice daily between 8 am and 5 pm. All-day charters are also available for private, corporate, or group fishing. I’m Captain Stan and I’ve been a passionate sports fisherman since I was a young man. I am, along with the rest of my crew, dedicated to providing the best charter fishing experience to anyone ready to experience ultimate deep sea fishing. Contact me for further information at 305-945-1578. 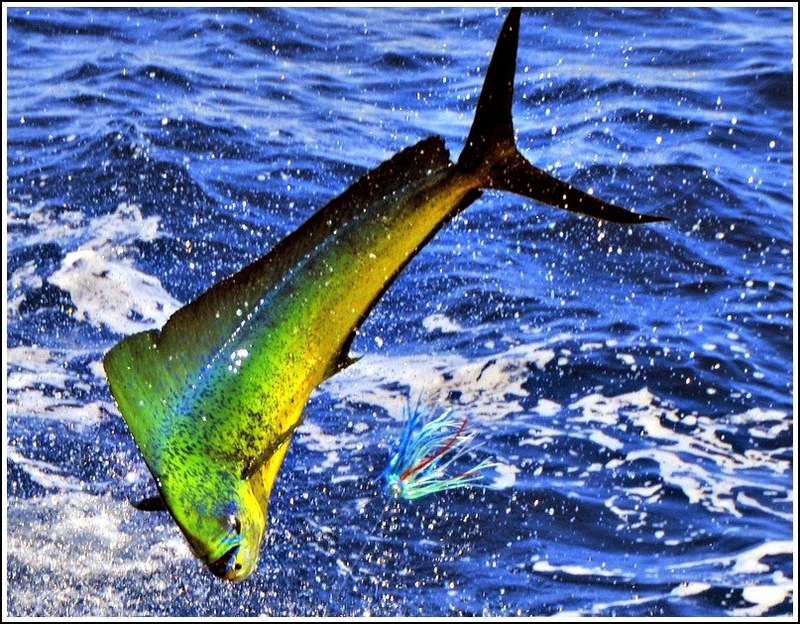 The Mahi-Mahi fish, also known as Dolphin, is one of the most delightful catches when Miami Deep Sea Fishing. Not only are they delicious, but they are one of the most beautiful fish in our Gulf Stream, boasting vibrant hues of green, yellow, and blue. They also have many colorful spots, and a uniquely long dorsal fin that extends nearly the whole length of their body. The males can be identified by their flat, blunt head, often referred to as bull dolphin. In the same way, the females can be identified by their rounded heads and are known as cow dolphin. Mahi-Mahi are generally considered an offshore fish, but can also be caught over the outside coral reefs and tend to be found on or near the surface. 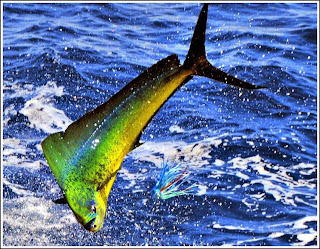 Mahi-Mahi are excellent fighting fish; they are exciting to see and catch, are fast and strong and often put on a fantastic surface and aerial display. Our fleet consists of two magnificent, huge yachts fully-equipped to catch Dolphin, as well as a variety of fish, such as Marlin, Sailfish, Sharks, Tuna, Wahoo, Barracuda, Snappers, and many more. These features include a large tuna tower for spotting big game, giant live bait tanks, giant outriggers for spacing the baits apart and a giant flying bridge with a captain’s chair and two fighting chairs. Deep sea fishing is an adventure available to anyone through The THERAPY-IV fleet- its boats are even outfitted for wheelchair accessible fishing. Go Miami Mahi-Mahi Fishing with The THERAPY-IV. Reservations can be placed online or over the phone- and pricing is reasonable- we match any legitimate pricing of comparable fishing charter boat services. We set sail 7 days a week, twice daily between 8 am and 5 pm. All-day charters are also available for private, corporate, or group fishing. Call me, Captain Stan, at 305-945-1578 with any questions, and be sure to check out our website, Therapy4.com for more information on our services. 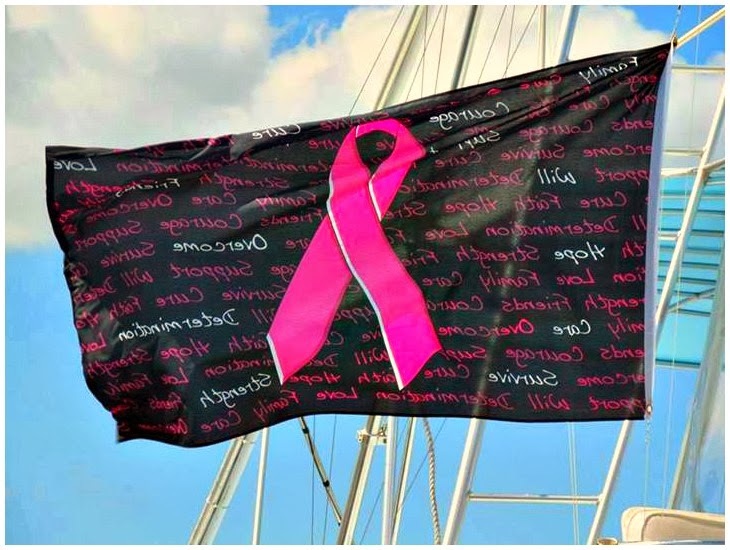 As you may already know, October is Breast Cancer Awareness Month and everyone is jumping on the pink bandwagon to show their support for all the victims of breast cancer. 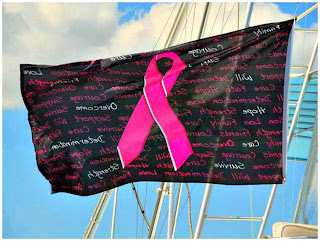 The THERAPY-IV is excited and proud to show our support as we hang our pink flags throughout the month. Even the NFL home page has gone completely pink, and there’s no shame in that! Not only that, but players and coaches will continue to wear pink through the Week 7 as part of the league’s breast cancer awareness initiative, as well as using pink coins, equipment, goalpost padding and sideline hats. This is the fifth year in which the league recognized Breast Cancer Awareness Month. Their campaign, "A Crucial Catch", in partnership with the American Cancer Society, is “focused on the importance of annual screenings, especially for women who are 40 and older.” All apparel worn at games by players and coaches, along with special game balls and pink coins will be auctioned off at NFL Auction, with proceeds benefiting the American Cancer Society's Community Health Advocates National Grants for Empowerment (CHANGE) program. The NFL does not profit from the sale or auction of breast cancer awareness-identified ("Pink") merchandise. Since 2009, the first year of the NFL's "A Crucial Catch" campaign, the NFL's work has raised approximately $4.5 million for the American Cancer Society, with the majority of the contribution coming from the sale of Pink items at retail and via the NFL Auction website. Speaking of “catches,” hop aboard one of The THERAPY-IV yachts and expect no shortage of monster fish hanging at the end of your fishing lines! Our fishing charter was awarded TripAdvisors’ Traveler’s Choice for 2013, rated “excellent” by over 340 travelers. Count on our team, with 47 years experience in the business, for your next Miami Beach Deep Sea Fishing trip! Call me, Captain Stan, at 305-945-1578 to book your fishing trip today. October is an exciting month in Miami, packed with fantastic events for all to enjoy amidst cooling weather and the distinct feeling of fall in the air. Below are a list of some of the great events to enjoy when you’re not sailing the deep seas with our crew at The THERAPY-IV. • Festival Miami (all month) comes to the University of Miami every October. Sponsored by the Frost School of Music, this event features academic and cultural perspectives on music. • The South Florida Dragon Boat Festival (October 5, 2013) is a unique cultural event that brings an authentic Chinese festival to the shores of Miami. • Grovetoberfest (October 19, 2013) is a festival that allows guests to sample hundreds of beers from across the world. It will feature a variety of craft beers, the Homebrew Pavilion, a Kitchen Lab for beer/food pairings, a VIP area and a designated driver program. • Monster Splash (October 25-27 and 31, 2013) offers a water-based alternative to MetroBoo. Enjoy a spooky time at Miami Seaquarium! • ZooBoo (October 26 and 27, 2013) at the Miami MetroZoo offers kids an exciting opportunity to trick-or-treat at the home of South Florida's most interesting animals! When you’re done enjoying these fantastic local events, make your way to Haulover Marina and take a trip with The THERAPY-IV crew for a Miami Beach Deep Sea Fishing experience like no other! We at The THERAPY-IV boast over 40 years of experience fishing the South Florida waters. We set sail 7 days a week, twice daily between 8 am and 5 pm. All-day charters are also available for private, corporate, or group fishing. Contact me, Captain Stan, for further information at 305-945-1578 or via http://therapy4.com. Celebrating 47 Years of Deep Sea Fishing Trips!!!! This year officially marks The THERAPY-IV’s 47th anniversary, and we’re incredibly proud and excited to have been bringing fantastic Miami Deep Sea Fishing trips to families for so long now. Our experience, crew, and unrivaled understanding of Miami’s waters is what has earned us the TripAdvisor’s Traveler’s Choice award for 2013 and TripAdvisor’s Certificate of Excellence for the past three years. Additionally, our fishing charter has received the highest rating by 339 travelers. One reviewer states, “On todays menu: kingfish, wahoo, and bonitos. Great day out at sea on the Therapy IV! The crew was extremely organized and definitely knew what they were doing. I was very surprised and impressed at how well maintained the ship was and also by the number of amenities on board. The Therapy IV has to be the finest charter out there. I highly recommend this ship and will be back in December!” Another goes on to say, “I want to thank Stan and his fabulous team. They were very friendly and extremely helpful. My friend and I got dropped off at the wrong marina and Captain stand came an personally picked us up he is very down to earth and went out of his way to make us comfortable. This boating trip was by far the best time I had on my trip to Miami, south beach included. We weren't in the boat 2 minutes before the fish were biting and we ended up with more fish that we even knew what to do. it was great! I highly recommend this trip for any and every one......... Everything was Stellar!!!!" Deep sea fishing off the Miami Beach coast has great rewards, offering the combination of staying close to shore yet catching some big game fish like marlin, sailfish, shark, tuna, mahi-mahi, grouper, snapper and tarpon. Captain Stan and The Therapy-IV crew know these South Florida waters like no other, so give us a call today at 305-945-1578. The THERAPY-IV’s captain, Stan Saffan, is an established boater and fisherman with over 40 years of experience fishing in the Miami waters. He started fishing at the age of seven with his father and brother, both on fishing piers and on drift-fishing boats at Haulover Beach. At age thirteen, he started working on all-day drift-fishing boats as a deckhand and then as first mate. Through a combination of experience and instincts, he was able to just about predict what would happen each day, earning the name the human fish to regular customers. 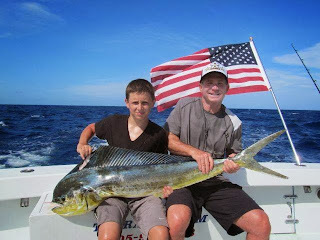 Captain Stan continued to work every weekend, holiday, and summer to perfect the art of fishing the Florida waters, all in the endeavor to fulfill his dream of one day becoming a captain and launching his own fishing charters. Throughout college, he worked at sea every afternoon and weekend on local sportfishing boats and, within a few years, started working full-time on the first “THERAPY.” In 1976, Stan built his first charter fishing boat, and continued to build another one before completing his new 2010 THERAPY-IV. The THERAPY-IV fleet consists of two magnificent, huge yachts fully-equipped to catch a variety of fish, such as Marlin, Sailfish, Sharks, Dolphin (Mahi-Mahi or Dorado), Tuna, Wahoo, Barracuda, Snappers, and many more. These features include a large tuna tower for spotting big game, giant live bait tanks, giant outriggers for spacing the baits apart and a giant flying bridge with a captain’s chair and two fighting chairs. The cockpit fishing area is equipped with a giant transom door for boating the monsters safely. Deluxe amenities, such as air conditioning, TV, XM satellite radio, bar counter, shower, and more, can be enjoyed on our boats. Deep sea fishing is an adventure available to anyone through The THERAPY-IV fleet- its boats are even outfitted for wheelchair accessible fishing. To book a fishing charter today, call Captain Stan at 305-945-1578.